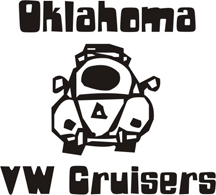 Ran across the Oklahoma VW Cruisers site while surfing the net so I thought I would join you guys. I current have a 1966 VW Beetle 2dr Sedan. Woa! that is a nice ride!! Like Jim said, very nice ride, would love to see it. Welcome! I was almost expecting a Sprite from your name.